I LOVE LOVE this stir-fry. 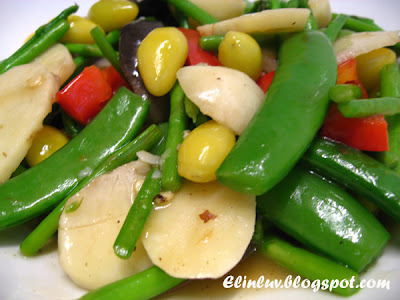 In summer, I like to make snap peas stir-fry with lily bulbs. 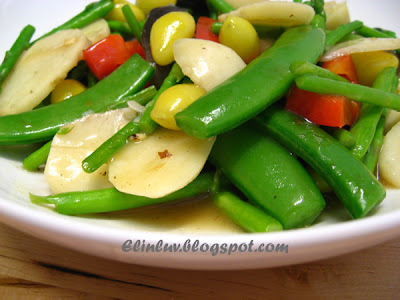 I must look for gingko nuts to give this recipe a try. I love the bright and fresh colour of this dish. Looks very healthy and delicious. 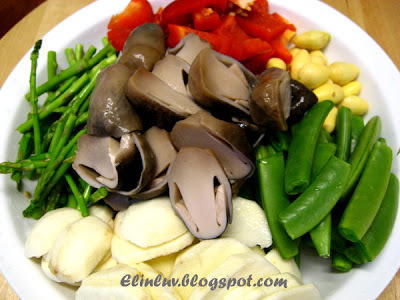 Mixed vegetables dish is always my favourite. 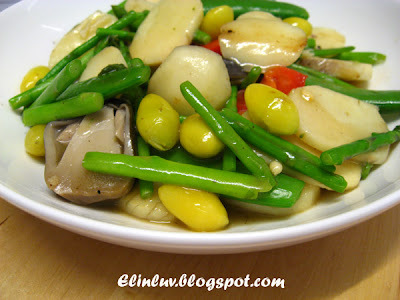 I'd have never thought of adding ginkgo nuts in savory dishes ... just tong sui ... This is such a fab idea!! Hey, can't wait to see both you and PiggyGal end of next month! Keep it up & take care till then! Sounds so delicious, and looks so colorful! I've never had gingko nuts. Interesting! Looks fresh and healthy. Where do you find gingko nuts? This dish looks so colorful, it has to be good for you. Thanks for sharing this recipe. 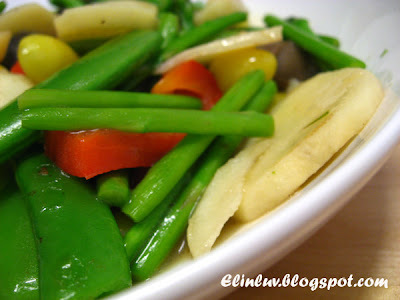 This stir-fry veggie is fabulous. Love it especially after eating so much food those past few weeks.